A recent report prepared by Compecon for The Wild Geese Irish Whiskey, notes that the Scottish Whiskey industry currently has 115 working distilleries (with 30 new ones under construction), 10,000 people in direct employment and exports in excess of €5 billion. 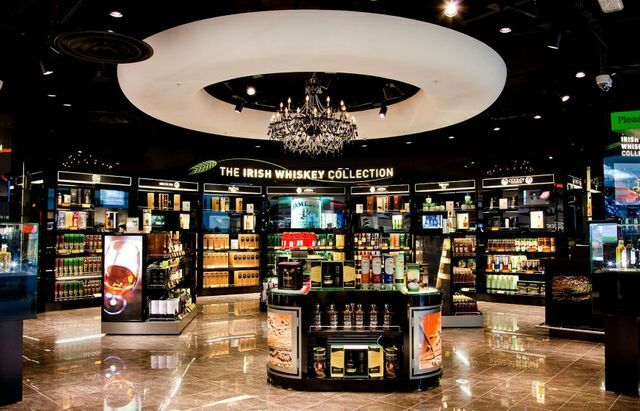 Irish whiskey exports currently amount to €350 million. If facilitated and promoted by government, the possibility for development in this area could lead to significant growth for the Irish national economy. The Irish Whiskey Association (“IWA”) expect investment of over €1.1 billion in the area from 2010 to 2025. They also predict tourist growth of 60% from the 513,000 visits to Irish whiskey distilleries in 2015. This is reflected in a recent report on the drinks sector commissioned by Alcohol Beverage Federation of Ireland (ABFI) which identifies the industry as having the potential to grow exports in excess of €2 billion over the next 15 years; and to create over 13,000 jobs. In light of the popularity of ‘alcohol tourism’, the standard distillery model now also includes a visitor centre. This growing trend allows each visitor to enjoy a tasting experience amongst the stills. However, what is sometimes not anticipated, is that in order for whiskey to be consumed on-site an on-licence certificate, also known as a Spirit Retailer’s On-Licence, is required. This licence is separate to the manufacturers licence. It involves an application to the Circuit Court in the area where the distillery is located with notification to be given to local parties such as the Gardaí Síochána. It also requires the extinguishment of an existing on-licence in order to issue the distillery with a new on-licence. This is essentially a one for one substitution of the old licence for a new licence. However the cost of purchasing an on-licence for the purpose of extinguishment can be between €50,000 - €90,000. Also, Section 18 of the Intoxicating Liquor Act 2000 provides that an applicant for an on-licence must prove that a full licence never attached to the target premises. This requirement could prove complicated where there are plans to develop a historic site and so is worth considering at the outset. The expanse in Irish whiskey is leading to exciting industry developments. This is reflected in changes across the sector, including where we taste the product. Assisting tourism in this area will be essential to expanding interest in Irish whiskey beyond the licensed visitor centre. Since the 1980s the number of operational whiskey distilleries in Ireland has steadily increased from two to twelve, with a further twenty in the pipeline. This hopefully indicates a rising tide of Irish “uisce beatha” for 2016 and onwards…. The report found that Scotch whisky exports in 2014 were in excess of €5bn, compared to Irish whiskey exports of €350m.